The recreation hall inauguration ceremony at Indian School Sohar, commenced with the official unveiling of the plaque by the Chief Guest His Excellency Sheikh Ali bin Ahmed bin Mishary Al Shamsi, Wali of Sohar and His Excellency Shri Munu Mahawar, Ambassador of India to The Sultanate of Oman in the presence of Sheikh Shri Kanaksi Khimji, Shri Anil Khimji, Shri Kiran Asher, School Managing Committee and other dignitaries on 31st Jan, 2019. Hailing His Majesty Sultan Qaboo’s leadership and his contribution to the welfare of the Indian expatriate community residing in Oman, the ceremony resumed with the School Managing Committee welcoming the distinguished guests and lighting of the ceremonious lamp by the dignitaries. 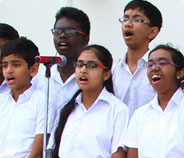 The school choir added melody to the event and enhanced the prayerful ambience. Before that His Excellency Shri Munu Mahawar, took a school tour to view the facilities and interacted with the students of class XII. In the welcome address delivered by Mr. Abraham George, President School Managing Committee, he highlighted the benevolence, conviction and generosity of the Banyan Merchant Community to work conscientiously for the cause of imparting quality education to the children of Indian community. Briefing the audience about the recreation hall, the president conveyed that the Wi-fi enabled recreation hall with a seating capacity of 950, was constructed on an area of 1080 sq. 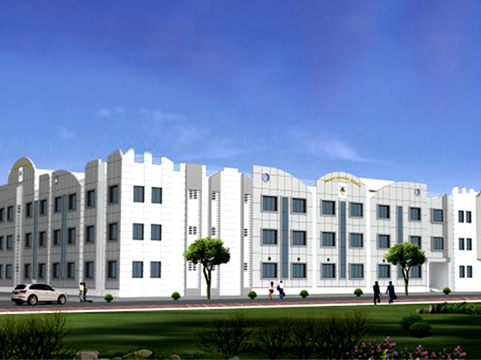 metres to cater to a diverse range of activities. Digital display board, acoustic system and modern safety fixtures were among the unique features of the recreation hall. He emphasized the crucial role to be played by the teachers in adopting a comprehensive curriculum that imparts knowledge, skills and discipline to the students. Sanchita Verma, Principal, in her presentation, gave an overview of the school since its inception in 1982. 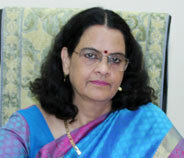 She drew attention on the landmark breakthroughs of the school; constant upgradation of infrastructure facilities; introduction of electives catering to students’ interest and aptitude; clubs activities promoting holistic development among students; curricular and co-curricular achievements of the students; awards won by staff members and recognitions won by the school. Academically high achievers from class VI to XII were awarded with academic proficiency prizes by the Chief Guest and Guest of Honour. Trophies, gold coins and certificates were bagged by students who topped the CBSE Examinations (Class X and Class XII) at school and GCC level in 2018-2019. Manas Vegi and Srishti Jain received standing ovation for securing first and third position at GCC level in class XII (Science stream) and X respectively .Teachers and staff members who had completed 10/ 20 / 25 years of meritorious service at Indian school Sohar were also felicitated during this ceremony. Awards won by the Principal from various organizations were also recognized. His Excellency Shri Munu Mahawar, expressed deep appreciation for the commendable work done by the school in providing conducive learning opportunities for the Indian children. This apart, he added that his first visit to the school has been overwhelming and articulated that the interaction he had with the students was profoundly impressive. The whole programme was interspersed with dance performances by students depicting India’s rich culture, tradition and history. In conclusion, to express gratitude to each one for their contribution and support to the school, Vice- Principal, Dr. Vinu Kumar delivered the vote of thanks. The programme was anchored by Dr. Subhadra Prabhu and co-ordinated by Ms. Indira Sukumaran.